LITTLETON, Mass., January 28, 2019 – Home to the largest and most comprehensive radiation therapy program in Oklahoma, the Stephenson Cancer Center at OU Medicine has commenced proton therapy treatments with its MEVION S250i Proton Therapy System with HYPERSCAN Pencil Beam Scanning. Cleared by the FDA in 2017, HYPERSCAN improves on existing scanning capabilities to deliver conformal fields of therapeutic radiation to tumors faster, with more precision and is the most advanced form of pencil beam scanning available today. 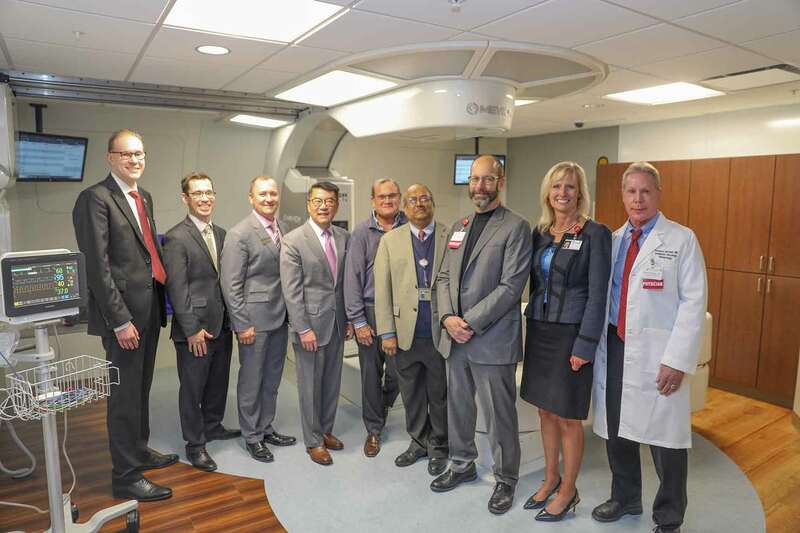 As part of OU Medicine’s National Cancer Institute-designated cancer center, the single-room compact proton system is embedded directly into the radiation oncology department. This efficient approach enables the cancer center to share existing resources and give patients access to OU Medicine’s robust collection of cancer-fighting therapies under one roof. The teams from OU Medicine and Mevion gather to celebrate the first patient treatment. OU Medicine anticipates using the new system to treat brain tumors, select head-and-neck tumors, abdominal tumors such as pancreatic cancer, some rare neural tumors, localized prostate cancer, and essentially all tumors in pediatric patients. Several research projects are planned as well. Adoption of proton therapy has been expanding rapidly because of the development of compact proton therapy systems. Today, new proton therapy systems are almost exclusively compact single-room systems. 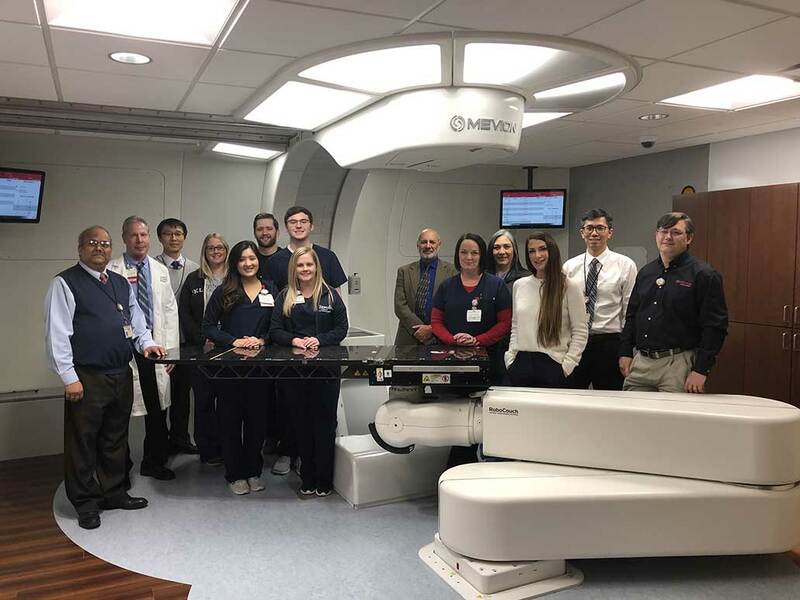 Mevion was the first company to innovate this new approach to proton therapy, and with the start of the OU Medicine program, nearly 80 percent of compact proton centers treating patients in the U.S. are Mevion systems.